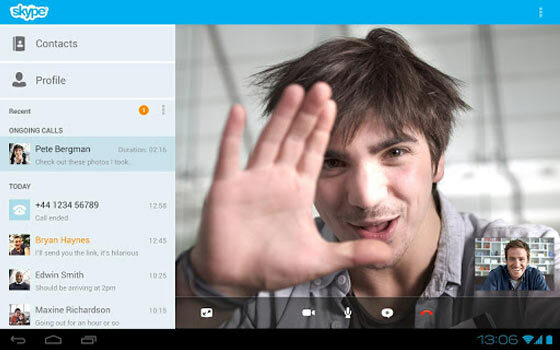 Want a FaceTime alternative for your Android handset? 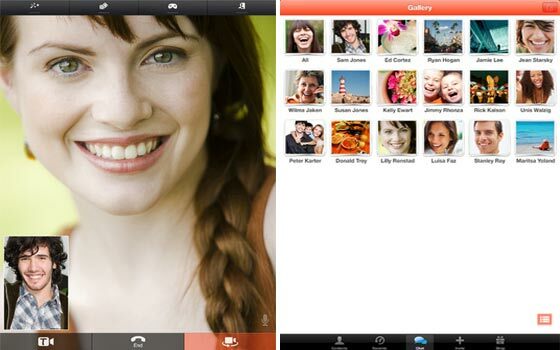 Looking to chat up with loved ones through another application via your iDevice? Well, you’ll find the answers to these pleas embedded right here. Conferencing with colleagues or catching up with old college mates situated half way around the world are just a few steps away. What’s more, you and your counterpart needn’t possess the same sort of gadget to video chat with each other like the program in the spotlight. You could be wielding an Android handset while your friend on the other line is accessing the same software via their computer. Already excited to try out the assortment? Well, read on. The interesting program that released nearly a decade ago is definitely no stranger to the video calling terrain. It has been bringing smiles to families and friends who are geographically separated. Whether it’s laptop to computer or smartphone to tablet, the software has brought people closer by allowing them to conduct live video chats. Voice and video calls via this service as well as file sharing and instant messaging are all available absolutely free of cost. However, you’ll have to cough up the dough if you wish to call landlines or mobile phones, or conduct group video chats with up to 10 individuals, all at a subsidized rate. What’s more, there are not only free dedicated Android and iOS apps but also programs for BlackBerry and Nokia devices. Just as the name aptly suggests, you and your friends can virtually hangout and catch up on the latest gossip with the help of this entrant in our apps like FaceTime roster. Here you’re called on to engage in group conversations by sending across instant messages, photos and emoji. Your sessions can quickly turn into video calls if your party desires the same. You can chat with up to 10 friends together and even infuse effects and apps to the live show that’s happening onscreen. And as the developer reveals, ‘no one gets left out’ as the program extends its services across Apple devices, Android gadgets and PCs. There are free apps available on the official website, Google Play and Apple App Store. Need to broadcast an important message to the world? Well, you can seamlessly host a concert, stream a conference or moderate a panel discussion directly from your computer. This handy program is noted to be a free and fun way to connect with your pals, irrespective of their geographic location. It lets you conduct free video chats with up to 4 people and even one-on-one video calls via LTE, 3G, 4G and Wi-Fi networks. You’ll be able to call up your friends absolutely free as well as dial up landlines and handsets the old fashioned way without having to shell out too much moolah. You can purchase fringOut credit for this very purpose. And in case you’re having a bad hair day or down with a severe case of laryngitis, you can always live text your buddies anytime, anywhere. As you might have already guessed, there are free apps for iOS, Android and Nokia gadgets. This inclusion in our programs similar to FaceTime array believes in the tagline, ‘where messaging meets entertainment.’ Here’s your one-stop shop for conducting international video and voice calls as well as sharing personal photos, all free of cost. 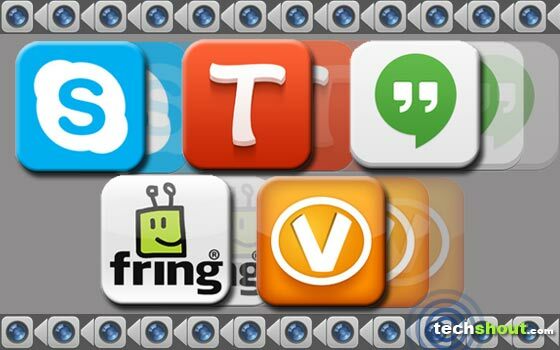 The social networking application works well over 3G, 4G and Wi-Fi networks. What’s more, you can challenge your friends to a game or two while in conversation with them through this software. You’ll also be able to put your own spin on the pictures you send by endowing them with text bits and filters. There’s even the facility to send a card across to your close contact on the other end of the line. No need to dabble in passwords or logins. All you need is the free app embedded in your desktop PC, Windows 7 Phone, Android and iOS devices. Now while some of the other options in our apps like FaceTime roundup provided chatting abilities with up to 10 individuals, this one goes that extra mile and lets you video chat with up to a dozen pals. You can spread the cheer either while seated at your PC or while on the go. What’s more, you can also put a smile on the faces of your loved ones by sending across video messages and files, and taking advantage of screen sharing, phone calls and other fun features. 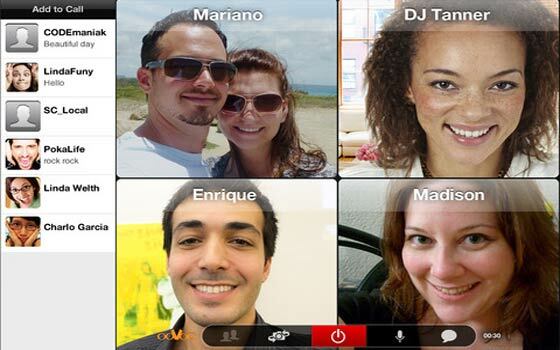 The software even allows you to embed video chats into any blog, website or social network site. Additionally, the program plays well with 3G, 4G, LTE, Wi-Fi and WiMAX networks. Now there are 2 versions available namely, free and premium. While you don’t need to pull out your wallet for the former, the latter however will cost you just under $3 for a month and $30 for a year. The iOS, Android and Windows Phone apps are up for grabs minus a price tag. Developed by Apple, the program in question initially released around 2 years ago and helped bridge the video chat gap by allowing iOS and Mac fans to view as well as talk to each other, simultaneously. However, this interesting service does have its fair share of limitations. 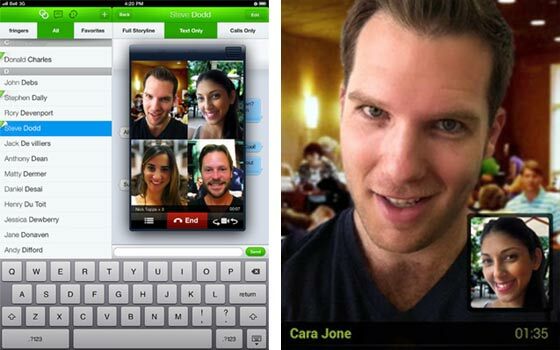 Now in order to conquer these shortcomings, we’ve listed a handful of comprehensive FaceTime alternative options that let you chat up on different devices. No longer will you have to pay up just to spend some virtual quality time with friends and family strewn across the four corners of the globe. And before you begin engaging in engrossing conversations, do let us know which one you picked from our lineup.